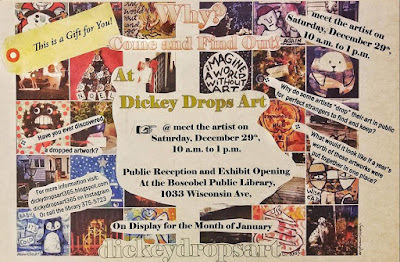 Join us at the Library this coming Saturday from 10am to 1pm for the grand opening of the Dickey Drops Art 365 Exhibit. 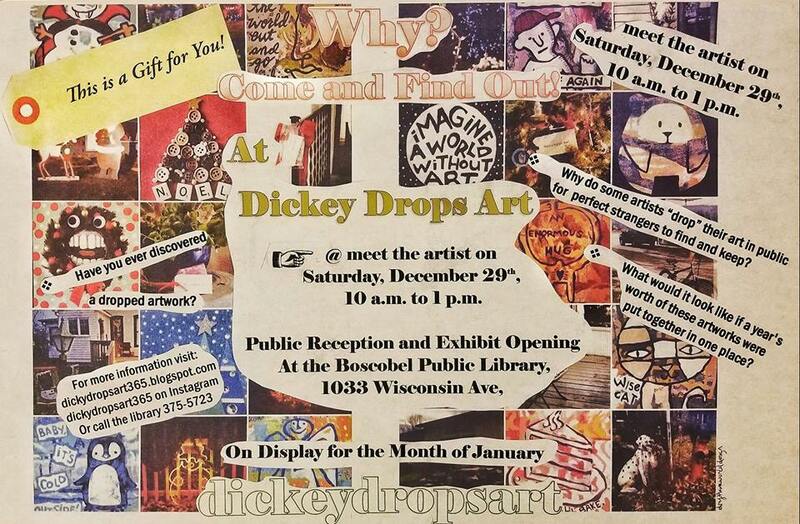 Have you ever found a free "dropped" artwork around Boscobel or the surrounding communities? Wonder what it would look like if a year's worth of these 4" x 4" artworks dropped daily were put together in one place? 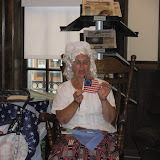 Come meet the artist and discover why some artists leave their work in public for some lucky random stranger to find and enjoy! This exhibit will run the entire month of January, be sure to tell your friends and stop by the library to be amazed by this collection!